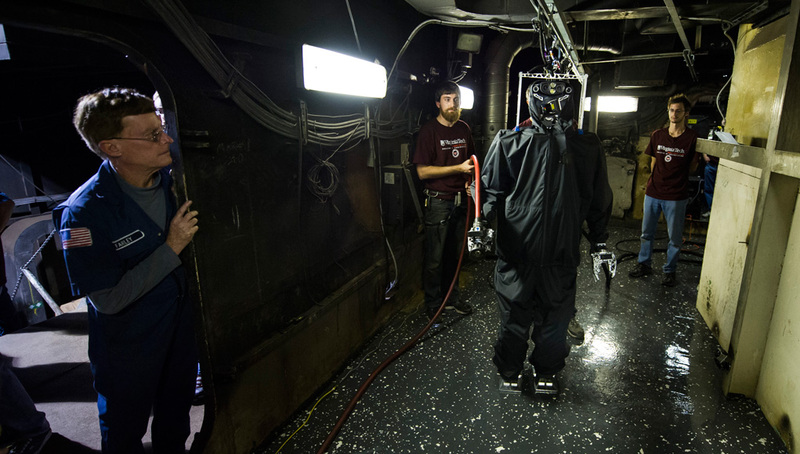 The Shipboard Autonomous Firefighting Robot (SAFFiR), sponsored by the Office of Naval Research (ONR), was developed by Virginia Tech to test how men and robots can team to fight fires on board ships. While it is capable of independent operation, SAFFiR will take its instruction from Sailors and "fire bosses" working remotely in the event of a fire or other dangerous event. 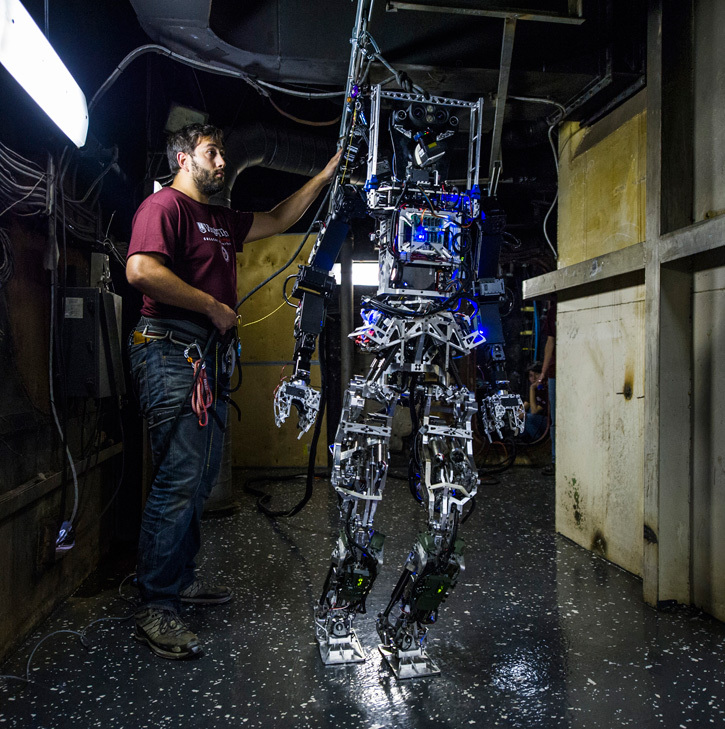 The US Navy is experimenting with a bipedal humanoid robot that can assume basic fire fighting tasks on board ships. Navy Scientists unveiled a firefighting robot prototype Feb. 4 at the Naval Future Force Science & Technology EXPO, revealing details about its successful demonstrations last fall. 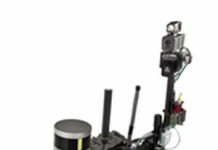 Developed by researchers at Virginia Tech, the two-legged, or bipedal, humanoid robot is helping ONR evaluate the applications of unmanned systems in damage control and inspections aboard naval vessels, supporting the autonomy and unmanned systems focus area in the Navy’s Science and Technology Strategy. 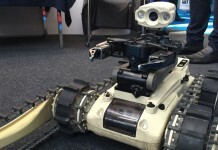 Sensors, including infrared stereo vision and a rotating laser for light detection and ranging (LIDAR), enable the humanoid to see through dense smoke. It is programmed to take measured steps and handle hoses on his own, but for now, takes his instruction from researchers at computer console. “The robot has the ability to do autonomous tasks, but we have a human in the loop to allow an operator to intervene in any type of task that the robot’s doing,” Lattimer said. 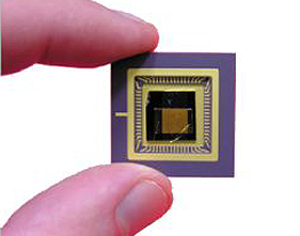 ONR plans to sponsor a more advanced design as part of the long-term investigational research program. 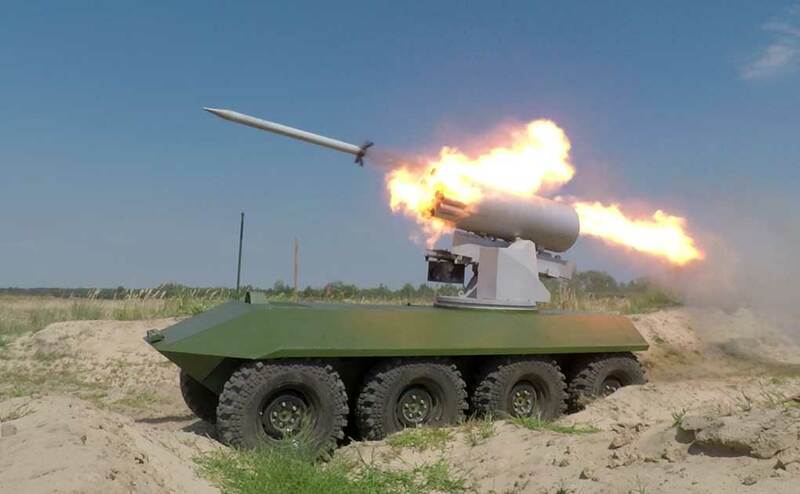 Blueprints include equipping the robot with enhanced intelligence, communications capabilities, speed, computing power and battery life for extended applications. Previous research at the Naval Research Lab (NRL) focused on other enabling technologies necessary for man-robot damage control teams operating onboard ships. In 2012 NRL released a video showing some of these experiments, where another robot called ‘Octavia’ worked with a human team member to extinguish a fire in a compartment. 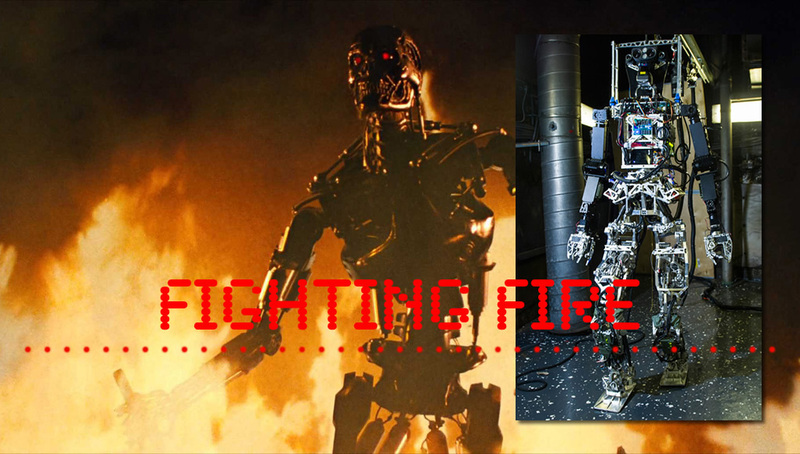 Through a combination of speech and visual recognition, the robot is able to identify trusted individuals, in this case, the human fire-fighting teammate. The human is able to provide situational information to the robot by voice and gestural commands. Here, the human partner is telling Octavia the general location of the fire before she enters the compartment. Octavia was used as a testing platform developing software for cognitive robotics and human-robot interactions. According to NRL, the knowledge gained from this research will be applied to firefighting robots used on ships. The robot Used two infrared cameras, to localize the fire, allowing her to target it with the compressed air/water backpack. As can be witnessed from the video, the voice and interaction are highly synthesized. Ongoing work is focused on improving the naturalness of the interactions so that the human partners can interact with the robot as if it were another human teammate. 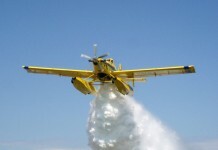 Additional work is focused on recognizing and characterizing the type and behavior of the fire so that proper extinguishing techniques can be used. Defense Advanced Research Programs Agency (DARPA) is also at work with robots assisting in damage control handling emergency situations in high risk environment under the Robotic Challenge. 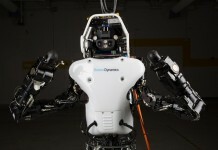 11 teams will attempt to complete the challenge set by DARPA’s DRC, using robots similar to SAFFiR. These teams will compete for a $3.5 million in prizes.